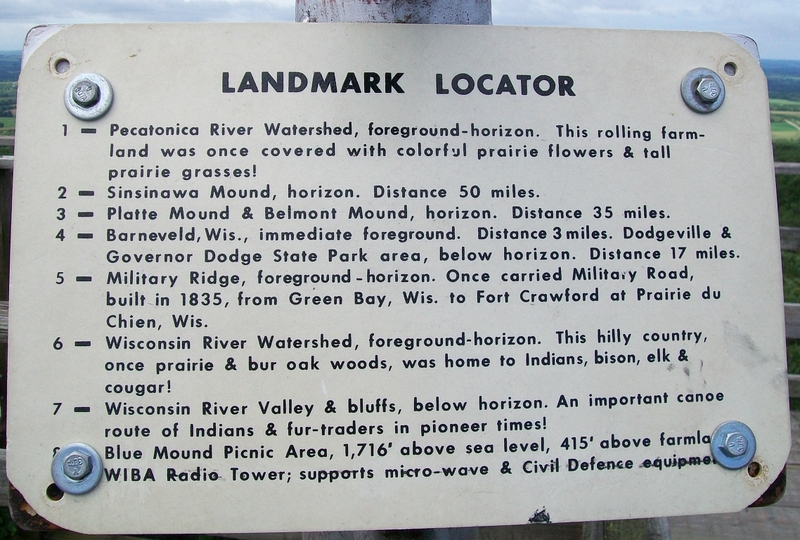 It was summertime, and we spent much of this summer exploring the southwest corner of Wisconsin. 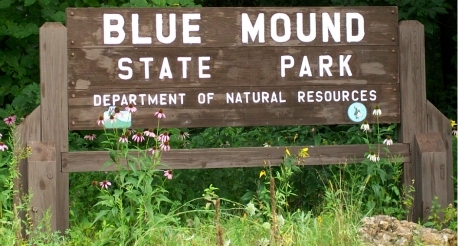 Today we were going to explore Blue Mounds State Park. 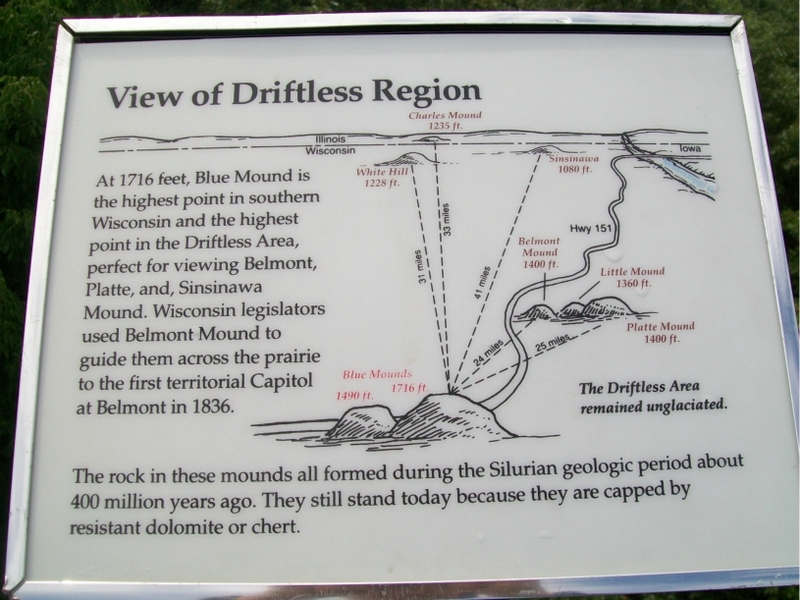 This part of Wisconsin is called the”driftless area” because the glaciers did not cover this part of the state. 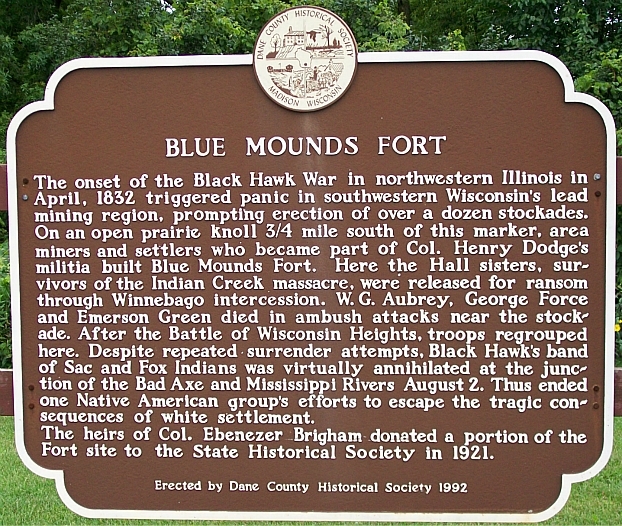 Blue Mounds Fort marker and driftless area information. 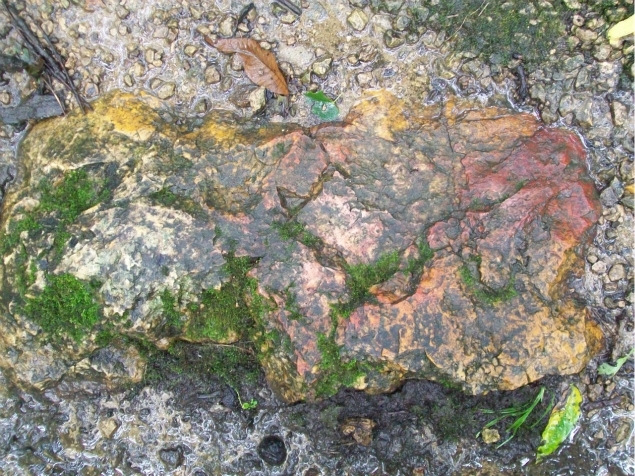 The park is on the top of a very high hill with great views of the countryside. 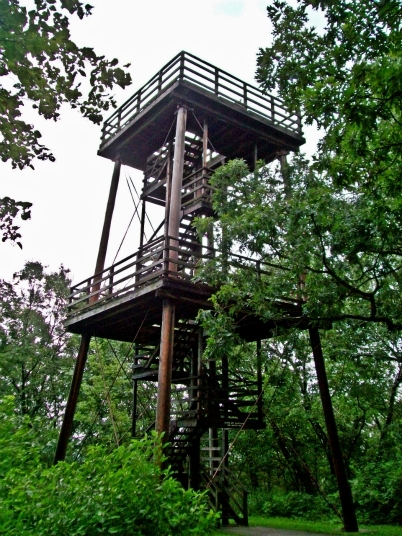 There is also a lookout tower to go even higher. 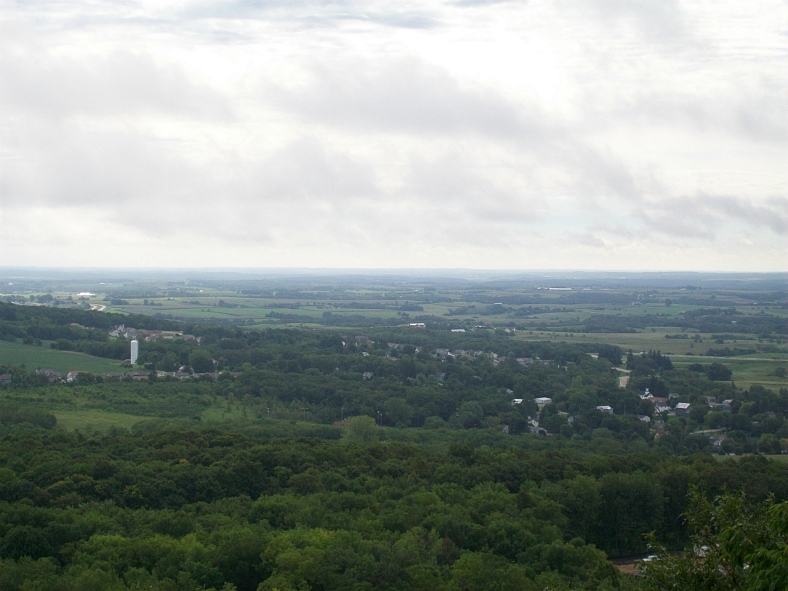 Here the view is towards the town of Blue Mounds below. 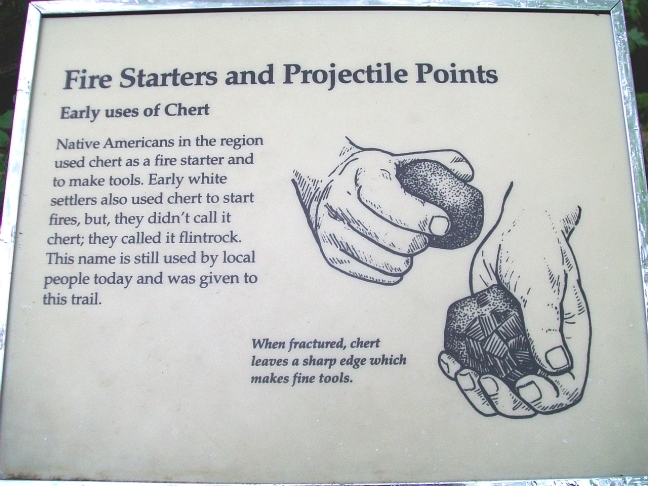 Attached to a scope on the tower was a guide to what we could see from up there. 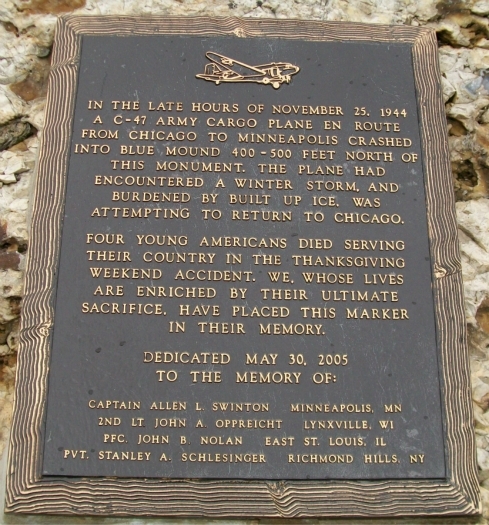 The park also has a memorial to a plane that crashed there in 1944. 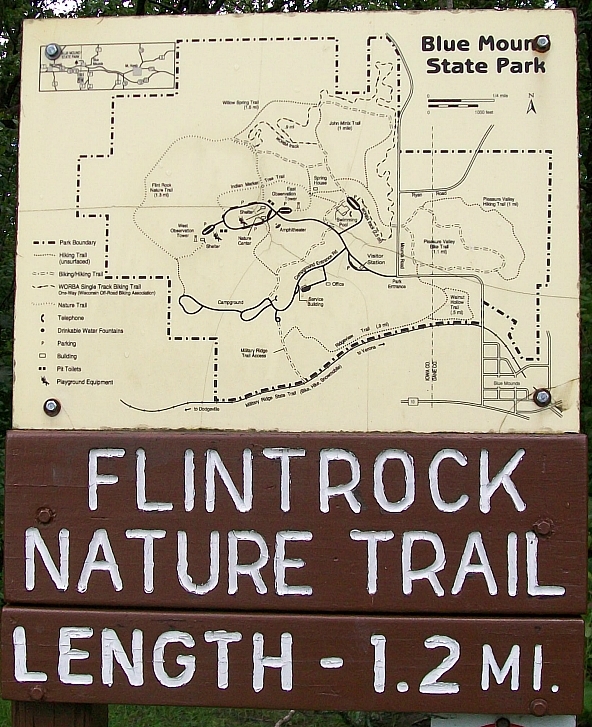 After the tower we decided to hike on Flintrock Nature Trail. 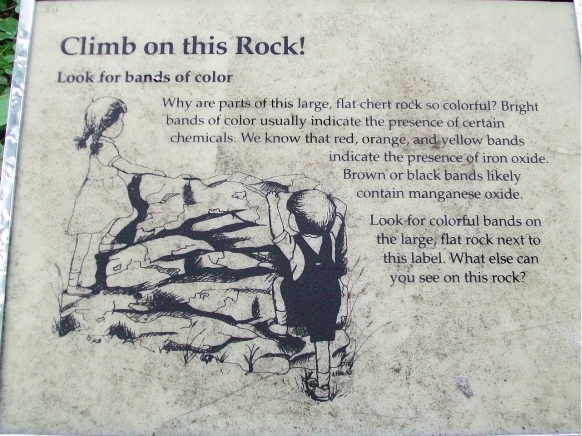 The trail had many signs explaining what we saw. 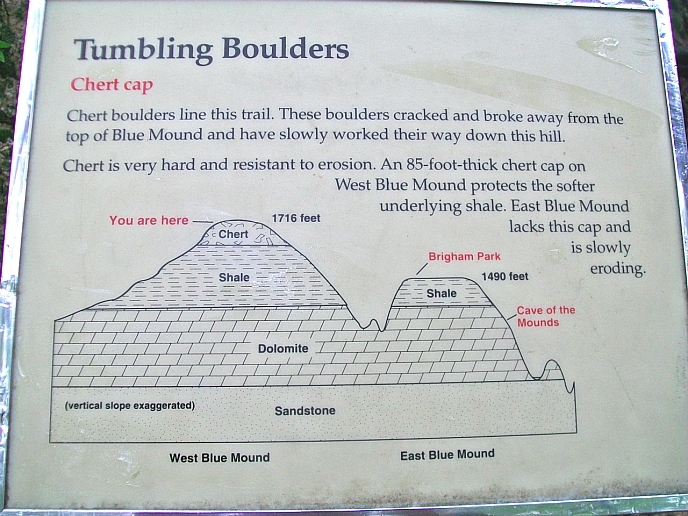 This is the top of the mountain, and its capped by Chert (flint) , a very hard rock that has prevented time from wearing down Blue Mounds to the same height as the surrounding countryside. 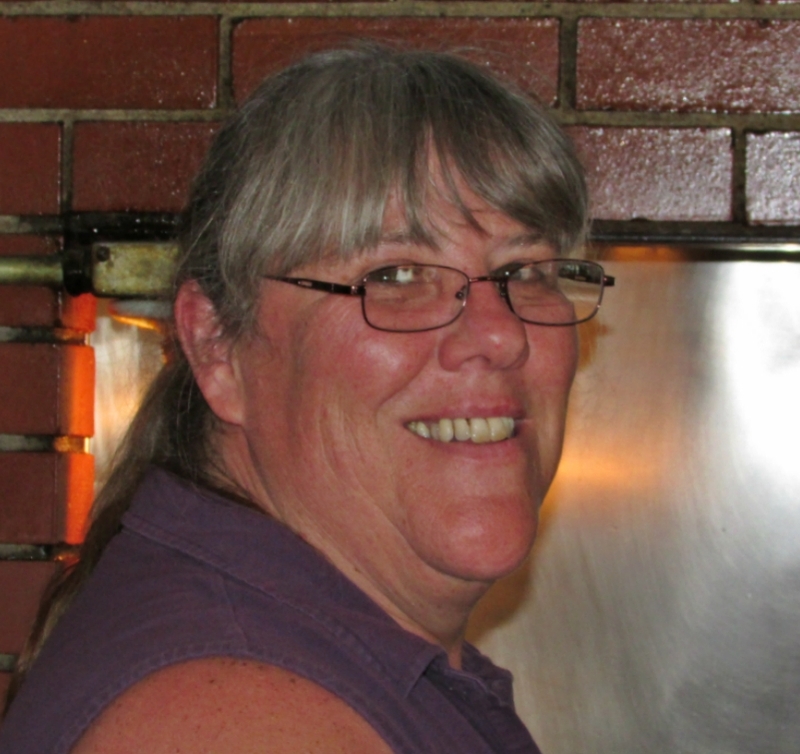 Here is good site to lean about of a survey of the area. 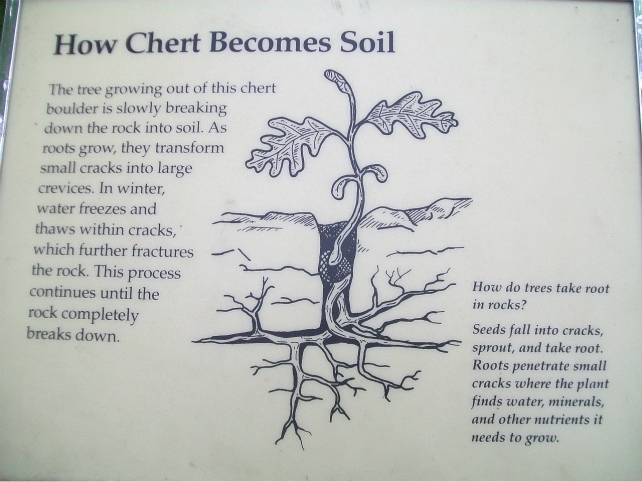 Here is a pretty chert boulder. 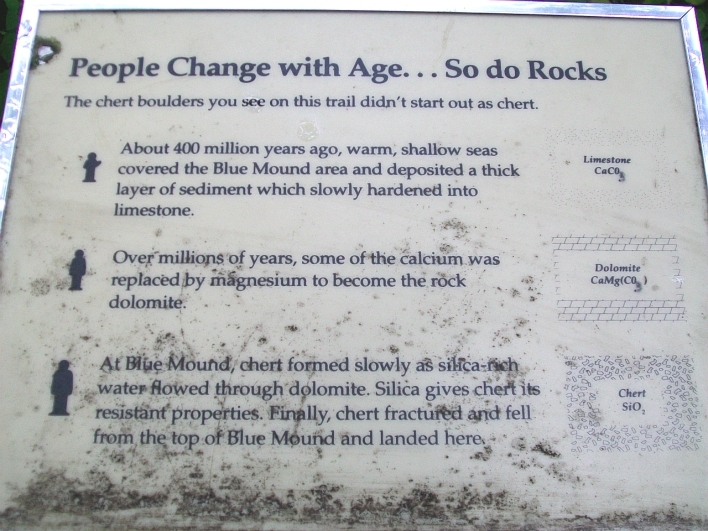 Also more information on the geology. 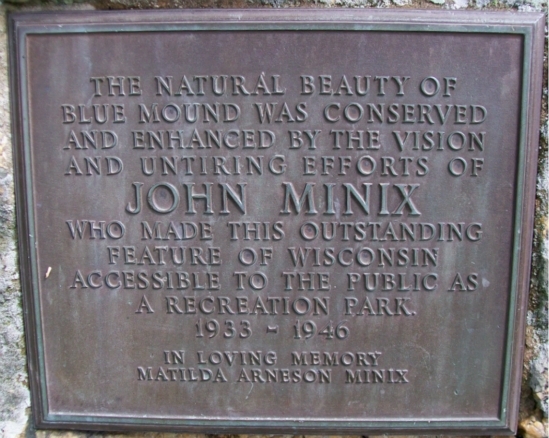 A memorial to the man who played a big part in Blue Mounds becoming the great resource that it is. 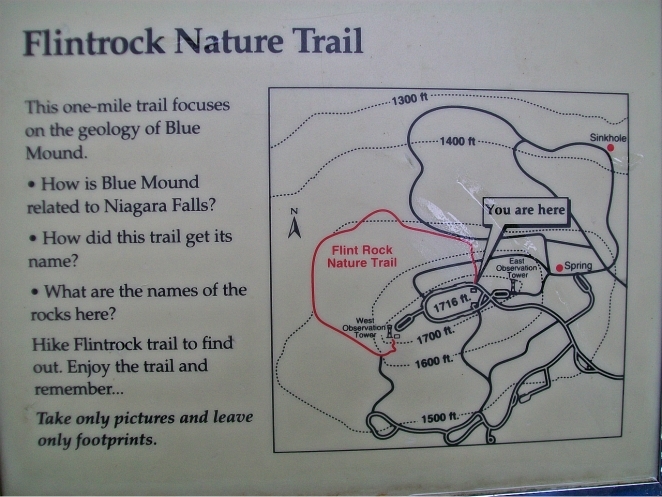 We had a great time hiking here in this beautiful park. 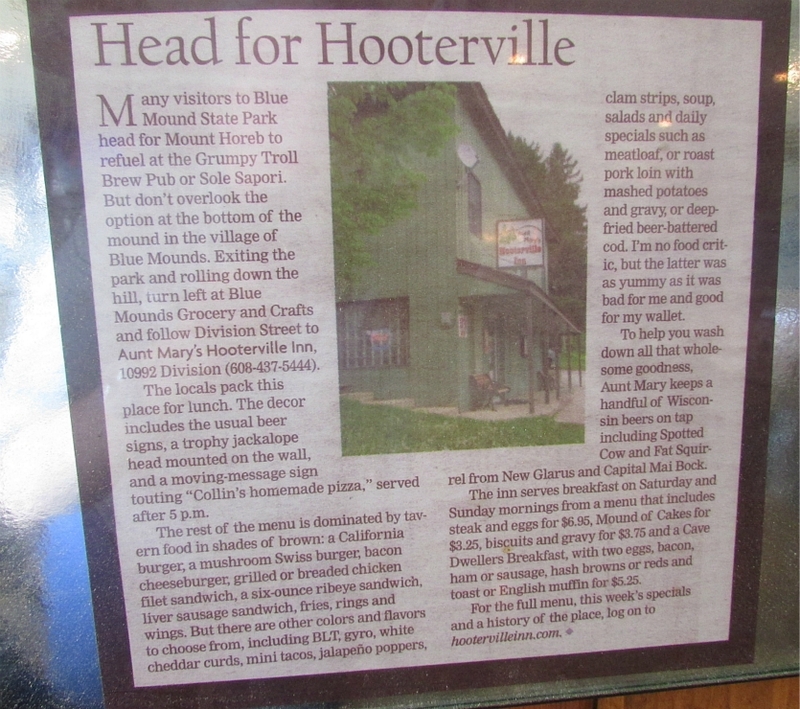 We went to Aunt Mary’s Hooterville Inn for lunch after our hike. 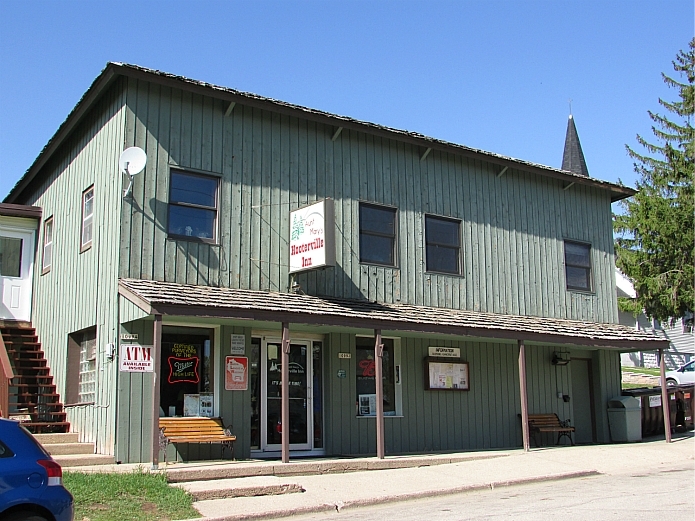 This place in Blue Mounds has been serving locals and visitors for about 50 years. You are treated as a friend the first time you walk through the door. 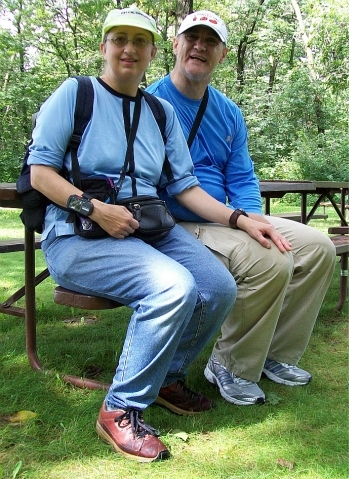 We have been back many times since this trip when we are in the area. We were just back on May 14, this week. I recommend this place for anyone wanting food and drink.